Harry M. Markopolos (born October 22, 1956) is an American former securities industry executive and an independent forensic accounting and financial fraud investigator. He discovered evidence over nine years suggesting that Bernard Madoff's wealth management business, Bernard L. Madoff Investment Securities LLC, was actually a massive Ponzi scheme. In 2000, 2001, and 2005, Markopolos alerted the U.S. Securities and Exchange Commission (SEC) of the fraud, supplying supporting documents, but each time, the SEC ignored him or only gave his evidence a cursory investigation. Madoff was finally uncovered as a fraud in December 2008, when his sons contacted the Federal Bureau of Investigation. After admitting to operating the largest private Ponzi scheme in history, Madoff was sentenced in 2009 to 150 years in prison. In 2010, Markopolos' book on uncovering the Madoff fraud, No One Would Listen: A True Financial Thriller, was published. It also included an introduction written by a member of his legal team, Gaytri D. Kachroo, with input from his colleagues in the ongoing effort to bring an end to the scheme, Frank Casey, Neil Chelo and Michael Ocrant. Markopolos has criticized the SEC for both failing to discover the Madoff fraud despite repeated tips, and for failing to investigate properly the larger companies it supervised. He described the private moments he had with victims of the Madoff fraud as: "Heartfelt, gut-wrenching things. People trying to commit suicide or losing loved ones who've died of heartbreak." Markopolos attended Roman Catholic schools, graduating from Cathedral Preparatory School in Erie, Pennsylvania in 1974. He received an undergraduate degree in Business Administration from Loyola College in Maryland in 1981, and a Master of Science in Finance from Boston College in 1997, also Catholic schools. He began his career on Wall Street in 1987 as a broker with Makefield Securities, a small Erie-based brokerage which was owned by the late Barry Carter Hixon. During 1988, he obtained a job with Darien Capital Management in Darien, Connecticut, as an assistant portfolio manager. From 1991–2004, he served as a portfolio manager at Boston-based options trading company Rampart Investment Management, ultimately becoming its chief investment officer. He is a CFA charterholder, and a Certified Fraud Examiner (CFE). During 1999, Markopolos learned that one of Rampart's frequent trading partners, Access International Advisors, was dealing with a hedge fund manager who consistently delivered net returns of 1–2% a month. Frank Casey, one of Rampart's principals, met with Access CEO René-Thierry Magon de La Villehuchet, and found the manager was Bernie Madoff, who was operating a wealth management business in which his clients essentially gave him carte blanche to invest the money as he saw fit. Casey and Rampart's managing partner, Dave Fraley, asked Markopolos to try to design a product similar to Madoff's split-strike conversion, in hopes of luring away Access from investing in Madoff. When Markopolos obtained a copy of Madoff's revenue stream, he spotted problems right away. Madoff's strategy was so poorly designed that Markopolos didn't see how it could make money. The biggest red flag, however, was that the return stream rose steadily with only a few downticks—represented graphically by a nearly perfect 45-degree angle. According to Markopolos, anyone who understood the underlying math of the markets would have known they were too volatile even in the best conditions for this to be possible. As he later put it, a return stream like the one Madoff claimed to generate "simply doesn't exist in finance". He eventually concluded that there was no legal way for Madoff to deliver his purported returns using the strategies he claimed to use. As he saw it, there were only two ways to explain the figures—either Madoff was running a Ponzi scheme (by paying established clients with newer clients' money) or front running (buying stock for his own and the hedge fund's accounts, based on insider knowledge about market impacts from about-to-be-executed client orders at his company's unrelated broker-dealer business). Markopolos later said that he knew within five minutes that Madoff's numbers didn't add up. It took him another four hours to mathematically prove that they could have only been obtained by fraud. Despite this, Markopolos' bosses at Rampart asked Markopolos to deconstruct Madoff's strategy to see if he could replicate it. Again and again, he could not simulate Madoff's returns, using information he had gathered about Madoff's trades in stocks and options. For instance, he discovered that for Madoff's strategy to work, he would have had to buy more options on the Chicago Board Options Exchange than actually existed. His calculations of Madoff's trades revealed that there was almost no correlation between Madoff's stocks and the S&P 100, as Madoff claimed. Markopolos also couldn't find any evidence the market was responding to any Madoff trades, even though by his estimate Madoff was managing as much as $6 billion – three times more than any known hedge fund at the time. In Markopolos' mind, these factors suggested that Madoff wasn't even trading. With the help of two of his colleagues at Rampart, Casey and fellow quant Neil Chelo, Markopolos continued to probe into the Madoff operation. What they found concerned him enough that he filed a formal complaint with the Boston office of the SEC during the spring of 2000. However, the SEC took no action. Michael Ocrant, editor-in-chief of MARHedge, joined the effort when Casey surprised him with information that Madoff, whom Ocrant only knew to be one of the largest market makers on NASDAQ and one of the largest brokers on the New York Stock Exchange, actually ran a secretive multi-billion dollar hedge fund, directly managing investors' money. 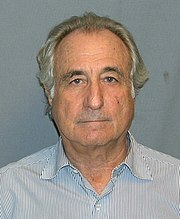 Ocrant investigated and wrote an article, "Madoff tops charts; skeptics ask how", published May 1, 2001, questioning Madoff's returns. Within a week, Erin Arvedlund followed with an investigative article in Barron's, further questioning Madoff's secrecy and results; despite the details in these scathing articles, they generated no action from the SEC, and did not scare off Madoff's existing investors. Markopolos sent a more detailed submission to the SEC a year later. He also offered to let the SEC send him to Madoff's headquarters undercover, obtain the trading tickets, and compare them with the Options Price Reporting Authority tape. By then, Markopolos was convinced that Madoff wasn't really trading. He believed that his trading tickets would not match the OPRA tape, which would have been hard proof Madoff was a fraud. This submission also passed without action from the SEC. Markopolos believed all along that Madoff was running a Ponzi scheme, given his voracious appetite for cash; a Ponzi scheme can only last as long as new money is flowing in to pay existing investors. His colleagues, Casey and Chelo, were more inclined to think that Madoff's scheme centered on front-running; they felt that Madoff was already a very wealthy man, and on paper it made no sense for him to essentially steal billions of dollars that he really didn't need, when he could use insider trading to increase his returns on actual trades via front-running. Markopolos, however, doubted this, since front-runners don't need the massive amount of new investor money that Madoff kept bringing in. Additionally, Markopolos believed that if Madoff was front-running, he would have to siphon off money from his broker-dealer arm to pay the investors in his hedge fund. This would have resulted in the customers of his broker-dealer operation getting shortchanged – something that would not have gone unnoticed by Madoff's more sophisticated broker-dealer customers. Soon after his second submission, Markopolos traveled to Europe with Magon de La Villehuchet to help get investors for an alternative product to Madoff that he'd developed for Rampart. While in Europe, Markopolos found that 14 different funds, at various firms, were invested with Madoff. Each manager believed his fund was the only one from which Madoff was taking new money—a classic "robbing Peter to pay Paul" scenario. When Markopolos heard this, he was convinced beyond all doubt that Madoff's wealth-management business was a Ponzi scheme. Markopolos persevered, even though he felt this created a considerable risk to his own safety; he'd found during his European visit that a large number of funds invested with Madoff operated offshore—meaning that the Russian Mafia and Latin-American drug cartels almost certainly had money with Madoff, and might want to silence anyone who threatened the viability of the hedge funds. On December 17, 2002, Markopolos came up with a plan to anonymously deliver an investigative file to an aide of then-New York Attorney General Eliot Spitzer as Spitzer delivered a speech at the John F. Kennedy Library in Boston. He put on a pair of white gloves to prevent leaving fingerprints, and wore an oversize coat. Bernie Madoff is running the world's largest unregistered hedge fund. He's organized this business as [a] hedge fund of funds privately labeling their own hedge funds which Bernie Madoff secretly runs for them using a split-strike conversion strategy getting paid only trading commissions which are not disclosed. Although Madoff's scheme didn't collapse until 2008, Markopolos believed that he was on the brink of insolvency as early as the summer of 2005, when Casey found out that at least two banks were no longer lending money to their clients to invest with Madoff. This prompted Madoff to seek loans from banks. In June 2008—six months before Madoff's scheme imploded—Markopolos' team uncovered evidence that Madoff was accepting leveraged money. In his book, Markopolos wrote that this was a sign Madoff was running out of cash and needed to increase his intake of new funds to keep the scheme going. On June 3, 2009, Markopolos told a conference at Boston College, his alma mater, that he believes Madoff personally kept less than 1 percent of the $65 billion reported stolen, and will probably lose what remains of his portion to money launderers. Markopolos estimates that $35 billion to $55 billion of the money Madoff claimed to have stolen never really existed, but were simply fictional profits he reported to his clients. Markopolos believes that Madoff's customers lost $10 billion to $35 billion, most of which went to early investors. "Madoff will wind up in a special prison designed as much to keep the crook's victims out as Madoff in. He's a guy who can't afford not to be in prison," he said. Thierry Magon de La Villehuchet committed suicide soon after Madoff's scheme collapsed, having lost $1.5 billion. On February 4, 2009, he testified before the United States Congress' House Financial Services Committee's capital markets panel and on March 1, appeared on CBS's 60 Minutes. Markopolos harshly criticized the SEC for ignoring his warnings about Madoff. "Nothing was done. There was an abject failure by the regulatory agencies we entrust as our watchdog," he explained in 65 pages of prepared testimony. He said that his original 2000 complaint gave the SEC enough evidence to stop Madoff when he was supposedly managing as little as $3 billion. Describing Madoff as "one of the most powerful men on Wall Street," Markopolos stated that there was "great danger" in investigating him: "My team and I surmised that if Mr. Madoff gained knowledge of our activities, he may feel threatened enough to seek to stifle us." He testified that he feared for his, as well as his family's safety, until after Madoff's arrest, when the SEC finally acknowledged that it had received "credible evidence" of Madoff's Ponzi scheme years before. He explained that Madoff's "math never made sense," that his "return stream never resembled any known financial instrument or strategy," and that Madoff wasn't making the volumes of trades he claimed. According to Markopolos, the best warning about Madoff came during his initial analysis of 87 months (a little more than seven years) of Madoff trades. During that time, Madoff reported only three losing months. By comparison, the S&P 500 reported 28 losing months during this same period. He likened Madoff's purported returns to a baseball player batting .966 for the season and "no one suspecting a cheat". Markopolos had originally concealed his identity from SEC regulators during May 1999, although he did meet face-to-face with SEC officials in Boston during 2000 and 2001. After the SEC did not respond, Markopolos was fearful of taking his complaints to the industry's self-regulatory authority, the National Association of Securities Dealers (since succeeded by the Financial Industry Regulatory Authority (FINRA)). He not only feared the power Madoff's brother, Peter, had in that organization (he is a former Vice Chairman), but also feared that Madoff may have had associations with Russian and South American organized crime. Markopolos believed the FBI would reject his allegations without the SEC staff's endorsement. He believed only a few SEC officials, including Manion and SEC Boston branch chief Mike Garrity, understood Madoff's operation well enough to detect the fraud. Markopolos met with Garrity during 2005, and said that while Garrity realized almost immediately that Madoff was violating the law, he could not take any action because Madoff wasn't based in New England. Markopolos later wrote that a few days after that meeting, Garrity called him and said his preliminary investigation revealed serious irregularities in the Madoff operation, and that he would have had inspection teams "tearing the place apart" if Madoff had been based in New England. However, since the Boston office's jurisdiction only extended as far as Greenwich, Connecticut; Garrity had no choice but to pass it down to the New York office. "My experiences with other SEC officials proved to be a systemic disappointment and led me to conclude that the SEC securities lawyers, if only through their investigative ineptitude and financial illiteracy, colluded to maintain large frauds such as the one to which Madoff later confessed." He also added that during 2005 it was Meaghan Cheung, the branch chief of the SEC's New York office, to whom he gave his 21-page report alleging that Madoff was paying old investors with money from fresh recruits. "Ms. Cheung never expressed even the slightest interest in asking me questions", Markopolos said, claiming she was too concerned with Markopolos mentioning the possibility of a reward and the fact that he was a competitor of Madoff. Cheung approved an internal memo during November 2007 to close an SEC investigation of Madoff without bringing any claim. Subsequently, she left the agency. He testified he gave details about the case during 2005 to John Wilke, a Wall Street Journal investigative reporter, but that it was never pursued. Markopolos testified he (anonymously) sent a package of documents concerning Madoff to former New York Attorney General Eliot Spitzer, who had successfully prosecuted a number of securities fraud cases, but that Spitzer apparently did not act, either. Spitzer's family trust had invested in Madoff's business. "Government has coddled, accepted, and ignored white-collar crime for too long," he testified. "It is time the nation woke up and realized that it's not the armed robbers or drug dealers who cause the most economic harm, it's the white collar criminals living in the most expensive homes who have the most impressive resumes who harm us the most. They steal our pensions, bankrupt our companies, and destroy thousands of jobs, ruining countless lives." He testified to Rep. Gary Ackerman (D-NY) that he had never been compensated for his efforts. "I did it for our flag, for patriotism." Markopolos presented recommendations to improve the SEC's operations, which included mandatory department standards: good ethics, full transparency, full disclosure, and fair dealing for all. The SEC must establish a unit to accept "whistleblower" tips, and move its activity closer to financial centers away from Washington, D.C.
His testimony included a reference to another $1 billion Ponzi scheme, which he shared the next day with SEC Inspector General H. David Kotz, who gave the tips to SEC Chairman Mary Schapiro. He disclosed information regarding a dozen as-yet-unknown foreign Madoff feeder funds, "hiding in the weeds" in Europe, the victims of which likely included Russian Mafia and drug cartels, "dirty money" investors. Markopolos remarked that European royal families had also lost assets. Because of concerns of improper conduct by Inspector General Kotz in the Madoff investigation, Inspector General David C. Williams of the U.S. Postal Service was brought in to conduct an independent outside review. The Williams Report questioned Kotz's work on the Madoff investigation, because Kotz was a "very good friend" with Markopolos. Investigators were not able to determine when Kotz and Markopolos became friends. A violation of the ethics rule took place if the friendship was concurrent with Kotz's investigation of Madoff. In his interview with Steve Kroft of 60 Minutes, Markopolos said the biggest warning he'd noticed during his initial 1999 analysis of Madoff was that he reported losing months only four percent of the time. To Markopolos' mind, no one could possibly be that good given the volatility of the markets. "As we know, markets go up and down, and his only went up," he said. Markopolos noted that during his tenure at Rampart, he traded with some of the biggest derivatives companies in the world, and none of them dealt with Madoff because they didn't think his numbers were real. He admitted that he had some financial incentive to eliminate Madoff, as the two competed against each other from 2000 to 2004. However, he said, he felt compelled to pursue it because "when someone's competing on your playing field, who's a dirty player, you want him tossed off the field." He assailed the SEC once again for ignoring his warnings, saying that the only reason Madoff was caught was because he ultimately collapsed under the weight of his own lies. Markopolos expanded on his criticism of the SEC in No One Would Listen. He claimed that SEC regulators don't have nearly enough expertise to understand the various products offered in the modern market—as he put it, the SEC was still "panning by hand". He also believed that the SEC's enforcement staff didn't take his complaints seriously because they were expecting legal proof Madoff was a fraud, not the mathematical evidence he provided. To his mind, the investigators didn't understand that mathematical proof was stronger evidence than legal proof, because "with a math problem, there is only one correct answer." As a result of the Madoff scandal, the SEC's chairman Christopher Cox stated that an investigation will delve into "all staff contact and relationships with the Madoff family and firm, and their impact, if any, on decisions by staff regarding the firm." A now former SEC compliance officer, Eric Swanson, married Madoff's niece Shana Madoff, a Madoff company compliance attorney. Markopolos is the eldest of three children of Georgia and Louis Markopolos, Greek-American restaurateurs. His father and two uncles once owned 12 Arthur Treacher's Fish and Chips restaurants in Maryland and Delaware. His younger brother, Louie, once managed the trading office for a New Jersey brokerage company. He has a sister, Melissa. He and his wife Faith, who works in the financial industry for an investment company conducting due diligence of portfolio managers, have three sons. Markopolos's account of the Madoff scandal, No One Would Listen: A True Financial Thriller, was published in 2010. Chasing Madoff, a documentary film based on the book was released in 2011. ^ Tofel, Richard J. (March 8, 2010). "Shadowing a Swindler; Early on, he figured out what Bernard Madoff was up to". Wall Street Journal Online. Retrieved January 4, 2019. ^ Douglas, Craig M. (December 16, 2008). "Madoff had early skeptic in Boston gumshoe". Boston Business Journal. Retrieved December 22, 2008. ^ Wagner, Daniel; Pete Yost (December 21, 2008). "SEC has been slow to react to fraud claims". Associated Press. Retrieved December 22, 2008. ^ a b c d e f g h i j k l m Markopolos, Harry (2010). No One Would Listen: A True Financial Thriller. Hoboken, New Jersey: John Wiley & Sons. ISBN 978-0-470-55373-2. ^ Bandler, James (2010-02-25). "Harry Markopolos: The man who hunted Madoff". Archive.fortune.com. Retrieved 2016-03-15. ^ Levin, Bess (April 13, 2010). "The Madoff Hunter". The New York Observer. Retrieved April 30, 2010. ^ Erwin, Erica (December 20, 2008). "Erie man blew whistle on Madoff". Erie Times-News. Retrieved December 22, 2008. ^ Lindsay, Jay. "Investor saw inside Madoff scam". Retrieved December 22, 2008. ^ "Certified Fraud Examiner Markopolos is Madoff Whistleblower" (Press release). Association of Certified Fraud Examiners. December 18, 2008. Retrieved December 22, 2008. ^ a b Kerber, Ross (January 8, 2009). "The whistleblower". The Boston Globe. ^ a b Zuckerman, Gregory; Gauthier-Villars, David (February 3, 2009). "A Lonely Lament From a Whistle-Blower". Wall Street Journal. Retrieved February 3, 2009. ^ "How they failed to catch Madoff". Fortune.com. 2011-05-10. Retrieved 2016-03-15. ^ a b c d "The Man Who Figured Out Madoff's Scheme". CBS News. February 27, 2009. ^ a b c Markopolos, Harry (February 4, 2009). "Markopolos Written Testimony (February 4, 2009)" (PDF). The Wall Street Journal. Retrieved February 4, 2009. ^ "Madoff whistleblower went unheeded for years". NBC News. 2008-12-19. Retrieved 2016-03-15. ^ a b c d Prosserman, Jeff (Director, Producer); Markopolos, Harry (Book) (2011-08-26). Chasing Madoff (Documentary). United States. ^ Arvedlund, Erin E. (2001-05-07). "Don't Ask, Don't Tell: Bernie Madoff Attracts Skeptics in 2001". Barron's. Retrieved 2018-08-30. ^ a b Chernoff, Allan (February 4, 2009). "Madoff whistleblower blasts the SEC's failure". Money.cnn.com. Retrieved May 29, 2013. ^ Alspach, Kyle (February 5, 2009). "Markopolos on Madoff: 'It took me about five minutes to figure out he was a fraud'". The Patriot Ledger. Retrieved May 29, 2013. ^ Jennifer Dauble (March 1, 2010). "Cnbc Transcript: Cnbc'S Mary Thompson Sits Down With Madoff Whistleblower Harry Markopolos And Former Colleague Frank Casey". Cnbc.com. Retrieved May 29, 2013. ^ Andrew Kirtzman. Betrayal: The Life and Lies of Bernie Madoff. Retrieved May 29, 2013. ^ Baram, Marcus (February 25, 2010). "Madoff Whistleblower Book: Claims He Uncovered State Street Fraud, Thought About Killing Madoff". Huffingtonpost.com. Retrieved May 29, 2013. ^ Lattman, Peter (December 13, 2012). "'Chasing Madoff' Documentary Tells of Whistle-Blower's Quest". nytimes.com. Retrieved May 29, 2013. ^ Markopolos, Harry (November 7, 2005). "The World's Largest Hedge Fund is a Fraud" (PDF). The Wall Street Journal. Retrieved December 22, 2008. ^ Fox, Justin (December 18, 2008). "Harry Markopolos really did have the goods on Bernie Madoff". Time. Retrieved December 22, 2008. ^ "Business & Markets". Boston Herald. Retrieved February 9, 2013. ^ a b c "Madoff Whistleblower Assails SEC for Ignoring Him". The New York Times. New York Times Dealbook Blog. February 3, 2009. Retrieved February 3, 2009. ^ "Man who warned about Bernard Madoff to testify". Boston Herald. February 3, 2009. Retrieved February 3, 2009. ^ a b c d Chew, Robert (February 4, 2009). "A Madoff Whistleblower Tells His Story". TIME. Retrieved February 4, 2009. ^ a b c Henriques, Diana (February 3, 2009). "Madoff Witness Tells of Fear for Safety". New York Times. Retrieved February 3, 2009. ^ Scannell, Kara (January 5, 2009). "Madoff Chasers Dug for Years, to No Avail". The Wall Street Journal. Wall Street Journal. Retrieved February 3, 2009. ^ a b c "Madoff Tipster Markopolos Cites SEC's 'Ineptitude' (Update3) by Jesse Westbrook, David Scheer and Mark Pittman". Bloomberg. February 4, 2009. Archived from the original on January 22, 2009. Retrieved February 4, 2009. ^ "Wall Street Journal missed Madoff fraud three years ago". Jewish Journal (Swindler's List blog). February 4, 2009. Retrieved February 4, 2009. ^ Younglai, Rachelle (February 5, 2009). "UPDATE 1-Madoff whistleblower gives fraud tips to SEC". Reuters. ^ a b Henriques, Diana (February 4, 2009). "Madoff Witness Talks of Other Possible Ponzi Cases". New York Times. Retrieved February 4, 2009. ^ "Archon News". Archons.org. Retrieved February 9, 2013. ^ Solomon, Deborah (February 28, 2010). "QUESTIONS FOR HARRY MARKOPOLOSMath is Hard". New York Times Magazine. New York Times Co. Retrieved August 30, 2011. ^ "We Read It So You Don't Have To: 'No One Would Listen: A True Financial Thriller' by Harry Markopolos". Web.archive.org. 2010-03-17. Archived from the original on March 23, 2010. Retrieved 2016-03-15. ^ Gold, Daniel M. (25 August 2011). "The High Human Cost of Following the Money in the Madoff Fraud Case". The New York Times. Retrieved 15 June 2018. Assessing the Madoff Ponzi Scheme and Regulatory Failures (Archive of: Subcommittee on Capital Markets, Insurance, and Government Sponsored Enterprises Hearing) (Windows Media). U.S. House Financial Services Committee. February 4, 2009. Retrieved June 29, 2009. Madoff Witness Testifies: Part 1 (Adobe Flash). CNBC via The New York Times. February 4, 2009. Retrieved June 29, 2009. Madoff Witness Testifies: Part 2 (Adobe Flash). CNBC via The New York Times. February 4, 2009. Retrieved June 29, 2009. Markopolos interview (mp3) King World News (May 29, 2009). Retrieved May 10, 2011.